Is your pregnancy beginning to take its toll on your joints and muscles? Does your back feel like it can’t hold your weight any longer? You’re certainly not alone there, momma. Aches and pains are normal during pregnancy, but can we do something about them? Many pregnant women are finding comfort in applying a heating pad to take the edge off the soreness. But is it safe? We’ll take a closer look at everything you should know before using a heating pad while pregnant. And we’ll share our top five favorite heating pads too. Use the links above to check the latest prices or read our in-depth heating pad reviews below. 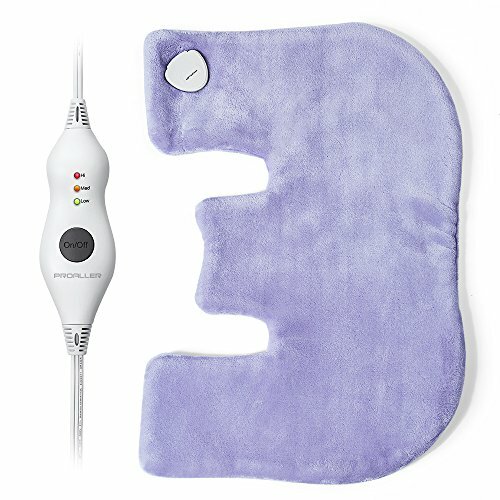 Why Use a Heating Pad During Pregnancy? Are Heating Pads Safe During Pregnancy? When you’re pregnant, your body is going through massive changes. For some lucky women, pregnancy is easy. For others, including me, you get everything but the glow. Getting in and out of bed is considered strenuous exercise in the last trimester. And just doing that can leave you feeling beat. Using a heating pad to relieve those aching muscles can save you a night’s sleep. You can use it anywhere you like. Many women like to apply the heating pad to their lower back. Others feel the pain in the inner thigh area and use it there. Heat is a highly effective way to treat muscle and joint pain. The reason why the areas become achy is that the blood flow is being reduced by the pressure caused by your pregnancy. The heat will open up the blood vessels, allowing more blood to circulate and bringing new oxygen to the area (source). Your baby is growing: Looking at that giant belly sticking out, it’s easy to see why you’re feeling the ache. Your center of gravity will also shift as you’re getting heavier in the front (source). Hormonal changes: Your body is doing more than just growing a baby — it also has to prepare itself for the birth. That means it’s releasing great amounts of hormones that will loosen up your ligaments and joints in the pelvic area. This is also why you might be feeling a little like Bambi on ice (source). Poor posture: During your pregnancy, you might want to become more aware of your posture. Sitting with your back hunched, or even standing for too long, can take its toll more than normal. Stress: Remember how your joints and ligaments are already weakened? Well, stress will only make that worse. Therefore, during hard times, you might find yourself with a sore back. Using a heating pad to relieve joint and muscle pain is safe during pregnancy. However, you have to do it in moderation. Doctors strongly advise against prolonged exposure to heat — such as saunas and hot tubs. These will raise your core body temperature, and that can become dangerous for your unborn baby. 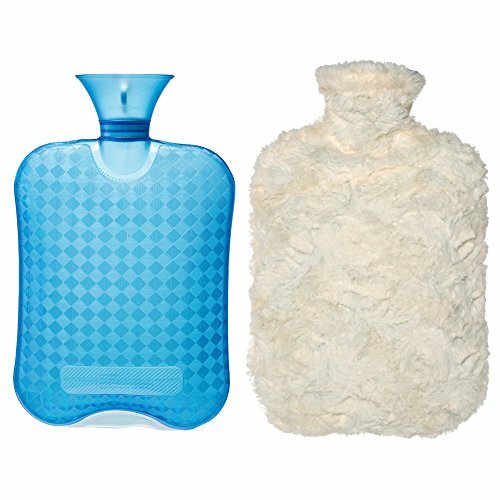 Since you’re only using the heating pad on isolated areas, such as the lower back and thighs, it won’t raise your body temperature (source). Excessive or sudden sharp pains could also indicate a more serious problem, such as a pending miscarriage. Any consistent or excessive pain needs to be investigated (source). Birth defects, such as neural tube defects(source). Stay awake: Falling asleep with your heating pad can result in you being exposed to the heat for too long. You shouldn’t expose it to your skin for more than 20 minutes. Protect your skin: Never apply the heating pad directly onto the skin. Always have a piece of fabric between you and the pad. Use a low setting: If the temperature can be adjusted, use the lowest setting available. Some electronic heating pads are set to turn off after 20 minutes, which is a useful safety feature. Now that we know more about using a heating pad during pregnancy, it’s time to reveal our top five. While it’s possible to make one yourself, for better quality, safety, and function, it’s best to buy one for long-term use. Check out our favorites. Lower back pain can become unbearable during the last months of pregnancy. 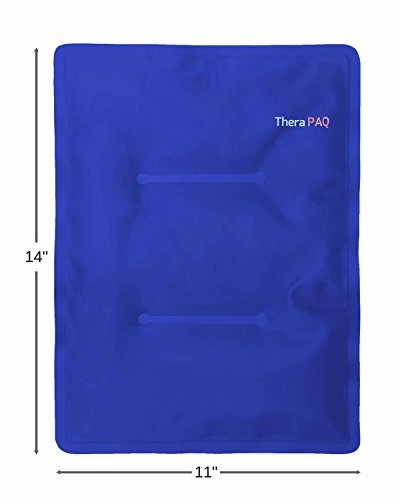 Having something like this extra large heating pad can give you some relief from the pain. Because of its large size —12 inches wide and 24 inches long — it can cover most of your lower back at one time. It also has a super soft microplush exterior, for a little extra comfort. The pad is highly flexible and will adjust itself to the area you’re treating. There are six settings to choose from, ranging from 105 to 140 degrees Fahrenheit. Remember to choose the lowest setting you’re comfortable with. You can also choose between moist and dry heating therapy. It’s set to automatically turn off after two hours. Remember to limit yourself to 20 minutes, though. Takes two hours to shut off automatically. The pain and soreness can sometimes make its way to the neck and shoulders, especially if your belly is big. This heating wrap is shaped to drape around your shoulders. There’s a small flap in the middle that will gently warm the back of your neck. It also has a button on the front to keep the wrap in place. Both sides of the wrap are flannel. It’s also made out of soft microplush fibers that gently warm your troubled area. You can even remove the cover and wash it if needed. The cord is 10 feet long, so you don’t have to be stuck in one specific place during treatment. There are three simple settings to choose from, and you can choose moist or dry heat. Has a button to keep it in place. A few users have mentioned that the neck flap isn’t wide enough. Awkward to use on other areas of the body. You may only be experiencing minor aches during your pregnancy. Therefore, you might not want to purchase anything too expensive. In this case, the Doucai hot water bottle could just be enough for you. It’s made out of PVC plastic and is highly durable. You simply pour hot water into the opening, close it, and you’re good to go. You also get a soft faux fur cover to give you extra comfort. It will stay hot for a long time. The downside is that you can’t control or maintain the temperature. The compact size makes it great for small areas on the body. Place it underneath you when relaxing on the couch, or keep it on your hip. You don’t need an outlet. Some pregnant mamas have said it’s not flexible. Some women prefer heat to treat their aching body, while others like a little cooling. With this gel pad, you’ll get the best of both worlds. You can heat it in the microwave for 30 seconds. You can also immerse the gel pad in boiled water for eight to 10 minutes — but remember to take the pot off the heat first. Doing this will give you around 20 to 25 minutes of heat. You could also place the gel pad in the freezer for two hours. When it’s cold enough, place it on the desired area. The pad is made out of non-toxic and leak-proof plastic. The material is highly durable, and it’s made to be frozen and heated multiple times a day. Wrap it in a towel after heating or freezing, to make it comfortable to use. Large size, 11 inches wide and 14 inches long. Can be rigid when used frozen. A cover would be useful. 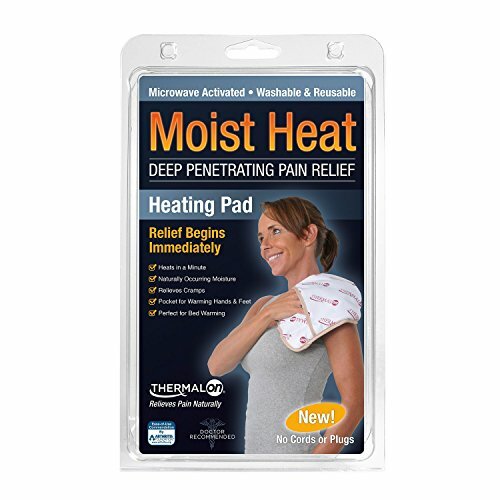 If you are experiencing severe pain, moist heat is what you need. It will penetrate the tissue much faster, giving you quick results (source). You can heat this in the microwave for one or two minutes. It will then give you a good 30 minutes of heat. However, there are reports that it goes cold quickly. You also don’t have to wrap it in a towel, just take it out of the microwave and apply. Alternatively, some cold-therapy is also possible if you place it in the freezer. It’s a smaller size, only 9 inches wide and 12 inches long. But it’s good for those smaller areas, such as the base of the neck and the inner thigh. It’s made out of non-toxic polyester and spandex. Ready to use out of the microwave. Can be used as a cooling pad. Doesn’t hold heat for long. If you’re in urgent need of a heating pad, but you haven’t bought one yet, you can make one. There are several effective ways you can make it, all with regular items you have at home. A Ziploc bag that is microwave safe — not the sandwich bags. First, you wet one of the towels — you can use hot or cold water — and give it a good squeeze. Place the wet towel in the Ziploc bag and microwave for two minutes. Remember to leave the bag open. Once it’s done, remove it carefully — it will be hot. Close the bag and wrap the dry towel around it. Apply to your sore area. This should stay heated for about 20 minutes. If you don’t have a microwave, you can heat the wet towel in the oven. Set to 300 degrees Fahrenheit and give it five to 10 minutes. A single sock (we all have plenty of those lying around). Fill up the sock with some rice, but make sure to leave plenty of space at the end so you’re able to seal it. You can close the sock by tying a knot, sewing it, or using a glue gun, rubber band, or any other method you think would work. Place the sock in the microwave and heat it for two minutes. Once it’s done, carefully remove it. If it’s hot, wrap it in a towel. Apply it to the affected area. This should also give you about 20 minutes of heat. If you feel you need more, you can give it another minute in the microwave. You can also use a few drops of your favorite essential oils to the rice. This will give your DIY heating pad a lovely scent. When buying, remember to consider your specific needs. If your aches and pains are severe, you may need a product with higher settings. But if your pain is only mild, something cheap and simple could do the trick. 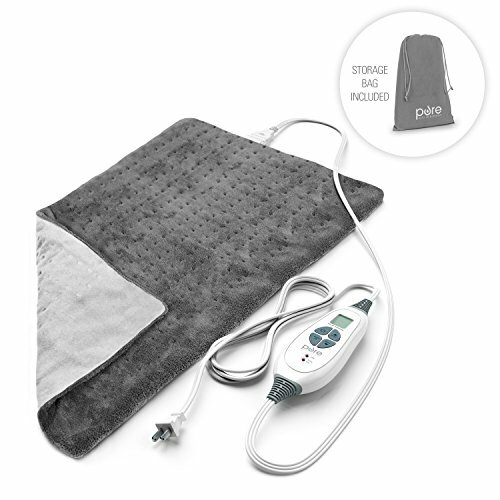 Our favorite is the Pure Enrichment PureRelief heating pad. It’s a generous size, with a wide range of temperature settings, and you can choose moist or dry heat. How are you handling your aching muscles? Would you go for the DIY? Share your thoughts with us in the comment section and feel free to hit that share button.